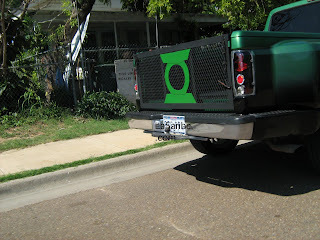 I spotted this truck in the Heights area. Why this person replaced the truck's tailgate is not important. He/she is obviously a fan of The Green Lantern and that's alright in my book.